Over the summer of 2016 I interned at MTV. 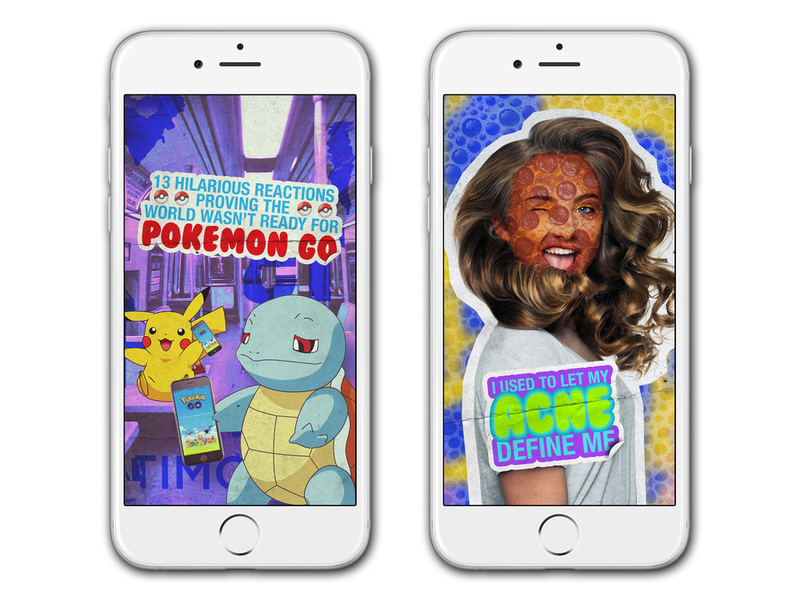 I worked with their News Design team to maintain and update their Snapchat Discover Channel every day. This included designing Top Snaps - the first thing people would see, kind of serve as clickbait - and illustrating the articles contained in the Bottom Snaps - the more in depth part of the snap that includes articles, images, videos, and more content. I also designed several logos for Franchises - series of content starring a celebrity doing an activity. One of the projects our Art Director suggested for me was re-designing the presentation for the data we got from Snapchat. When I came the Data Science team had just made an excel document with the needed information. I worked with them and our Art Director to create something that was more understandable and intuitive for the various people who would be interacting with the content. I used Adobe InDesign's data merge function so that the people on the Data Science team could easily update the information without having to manually type it in every day.